If there is one universal rule that applies to using tenant credit checks, it’s that a credit score alone is not enough to evaluate a rental applicant. A credit report is important — but not the sole factor — when it comes to finding the right tenant. There is no guarantee that an applicant with a high credit score will make a great tenant. Yes, the person is credit-worthy. But is he or she tenant-worthy? It is not uncommon for high-credit tenants to be highly-demanding, and that can lead to early terminations, difficulty getting along with other tenants, and even lawsuits. Rental history, along with credit, must be taken into account. At the same time, requiring a high credit score from rental applicants eliminates many diligent, on-time rent payers. It’s important to keep credit expectations in check, and use tenant credit checks to weed out the obviously bad tenants rather than as a way to prequalify applicants. For instance, a landlord should focus on chronic problems like long-term overspending, defaults, and judgments, rather than specific hardships that an individual tenant may be able to overcome. Incorrect accounts resulting from identity theft. It is estimated that as many as one in twenty consumers experience some sort of misinformation in their credit reports. 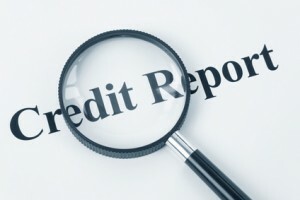 Another consideration when evaluating tenant credit is the reason for the bad credit report. The CFPB reports that around half of all collection activity that appears on credit reports is from doctors or hospitals. These medical debt collections affect the credit reports of nearly one-fifth of all consumers. While these debts are no less real, they typically are incurred due to sudden illness that wasn’t covered by insurance. That is not necessarily an indication of poor financial management on the part of a tenant. In a previous blog post, Where Do You Draw the Line With Tenant Credit?, we asked professional property managers representing thousands of units to weigh in. These managers consistently work with tenants with poor credit when there are other “redeeming qualities” like higher income from a new job, savings, or a solid rental history. All managers interviewed agreed that the most important factors to consider when screening tenants is a recent eviction or a long list of collections. Delinquent utility bills, car repossessions or unpaid rent are red flags, where an isolated incident — like a medical bill — is much easier to justify. Work history and rental history can overcome low credit. It’s easy to fake being rich, and landlords who have failed to run tenant screening reports on every applicant have been scammed by professional tenants. Regardless of where you draw the line on tenant credit, you must run credit reports on every applicant under serious consideration. Be wary of a tenant who refuses to authorize a credit check. That’s a red flag even if the person appears over-qualified. Be sure to verify the applicant’s identity and have identifiers like full name and date of birth in your rental application. That narrows the odds that you will pull the wrong credit report. While credit reports likely will show judgments for unpaid rent, a problem rental history is easier to uncover when combined with an eviction report and criminal record check. In addition to these reports, it’s crucial to speak with previous landlords. Many property managers allow a tenant with mediocre credit to rent with a co-signer on the lease. This strategy can be effective, but it’s important that every tenant in that circumstance is offered the some option. Landlords must provide an adverse action notice when rejecting an applicant due to poor credit. This allows the applicant to correct the report if there are errors, and otherwise, to work at rehabilitating his or her credit. If a tenant is interested in improving his or her reputation, sign up to report tenant pay habits. That way, on-time rent payments will work to bolster credit as well as establish a solid rental history.